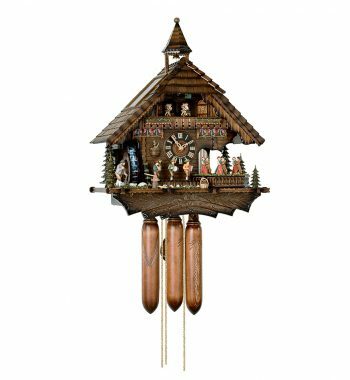 Half timbered Black Forest house with woman ringing the bell. 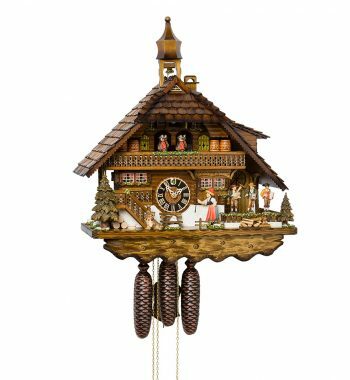 Wooden goat in front of the scene and wooden St.Bernhards-dog watching. 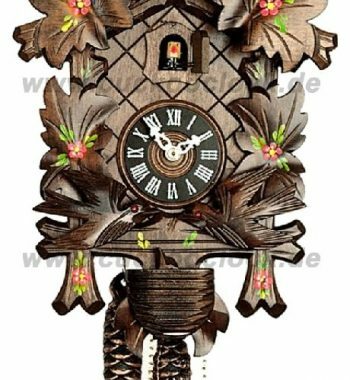 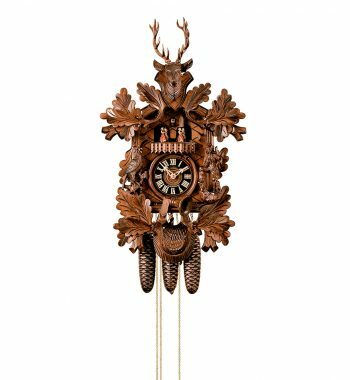 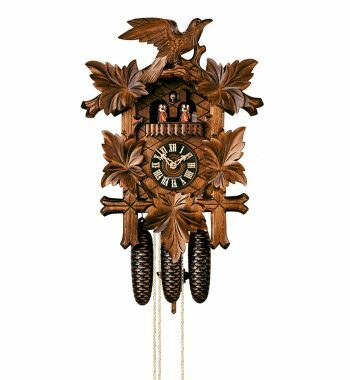 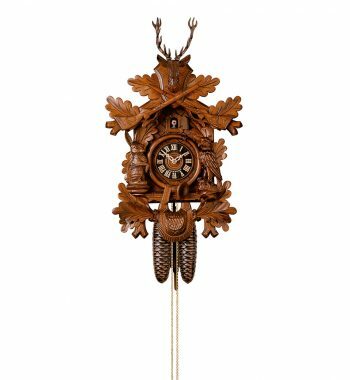 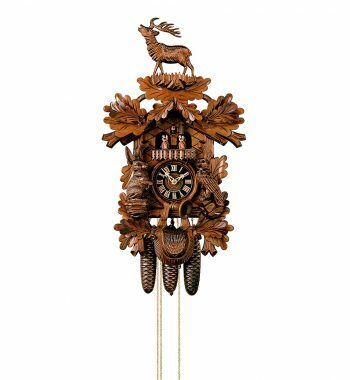 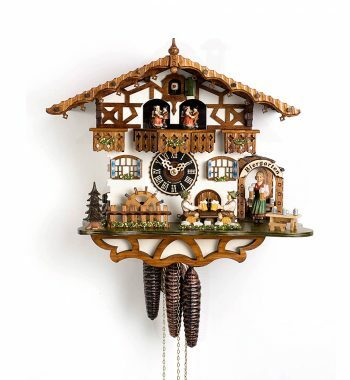 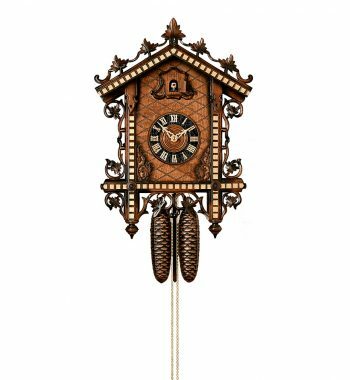 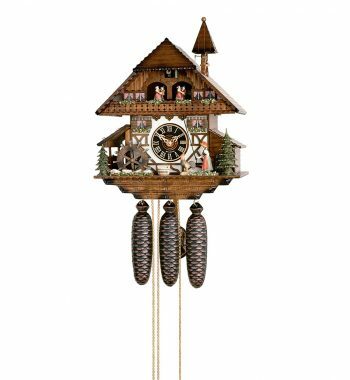 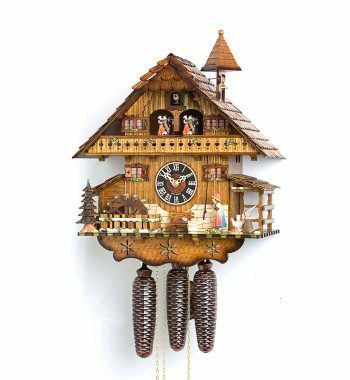 Original Cuckoo Clock from the Black Forest (Made in Germany) Traditional "Bahnh?usle"-clock. 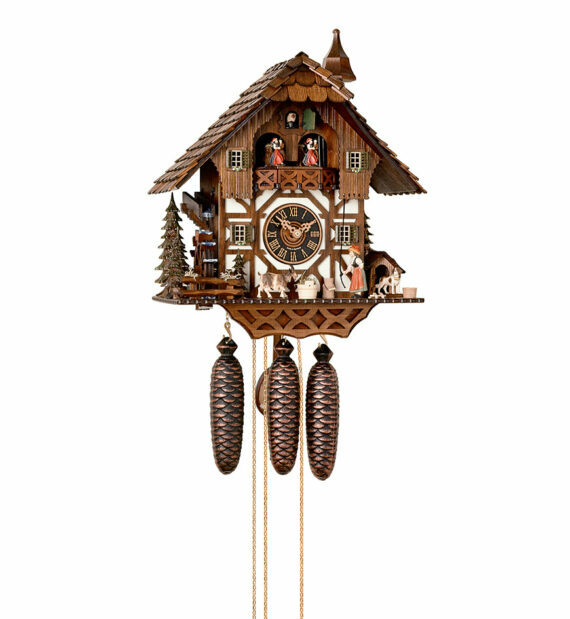 Notice:Our price includes insured shipping worldwide.